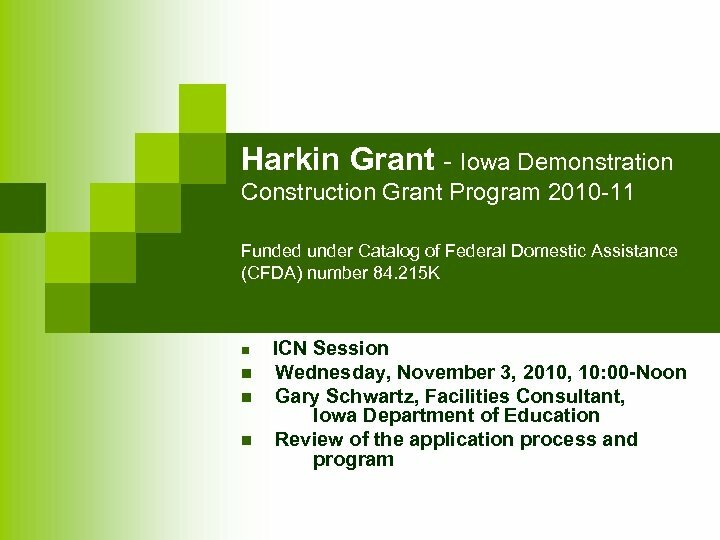 Harkin Grant – Iowa Demonstration Construction Grant Program (IDCGP) 2010 -11 n Two grants available: Fire Safety and Construction. n Applying for one grant does not prevent the district from applying for the other type of grant under the IDCGP. 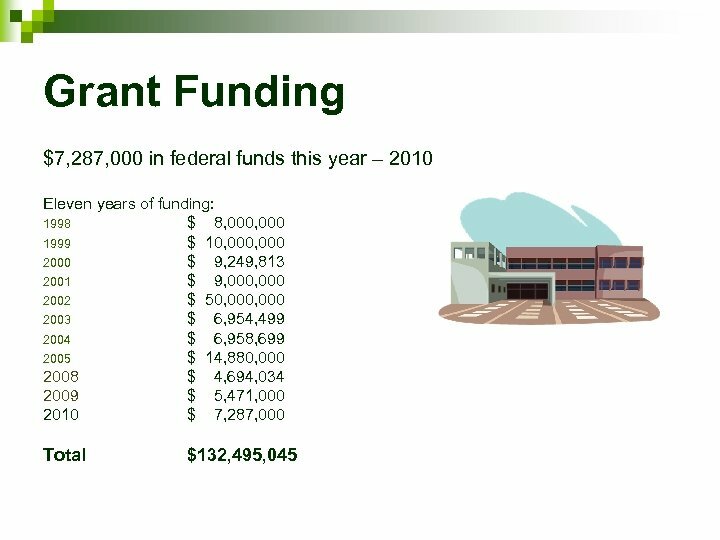 n Funding sources for both grants: 1. 2010 -11 – New Grant Funds (grant period October 1, 2010 through September 30, 2013) for projects to be completed in the three-year grant period. 2. Carry-Over Grant Funds for fire safety (grant period October 1, 2010 through August 30, 2011 and October 1, 2010 through August 30, 2012) for projects that can be completed in less than two years. Carry-over funds depend on amount of funds reverted back to the grant. 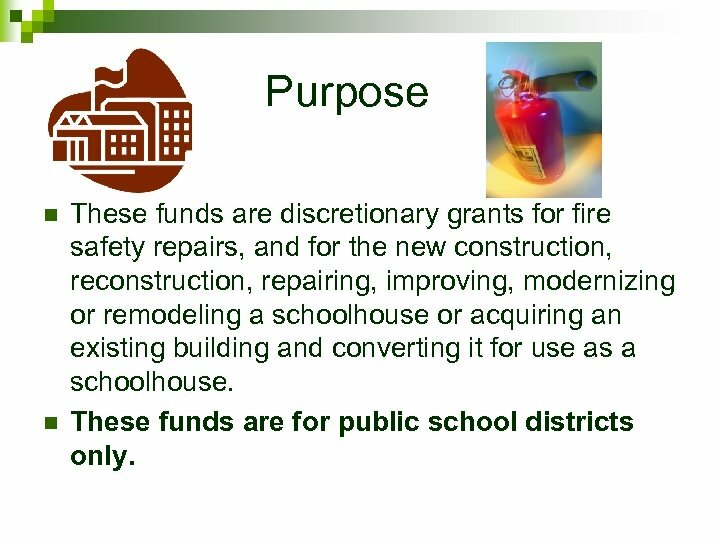 Purpose n n These funds are discretionary grants for fire safety repairs, and for the new construction, repairing, improving, modernizing or remodeling a schoolhouse or acquiring an existing building and converting it for use as a schoolhouse. These funds are for public school districts only. Construction Grants – 65% of funds n n n $4, 594, 455 allocated for construction (local match required at 75%). Funds must be used for new activities. New activity means a project that the board takes action to approve advertising for bids on or after October 1, 2010. Districts are eligible for a grant up to $500, 000. Projects must be for new construction, repairing, improving, modernizing or remodeling a schoolhouse, to create or expand space in existing structures, or to acquire and/or convert an existing building for use as a schoolhouse. Outdoor recreation, playgrounds, athletic complexes, gymnasium additions, or stadiums are not eligible. 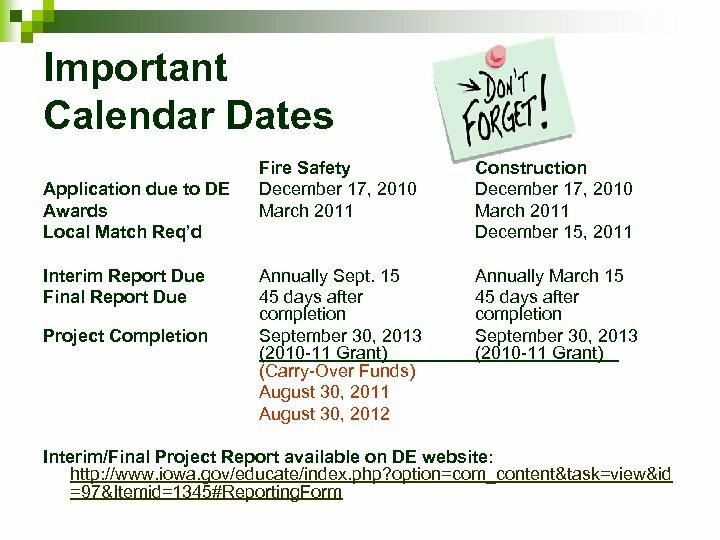 Priority shall be given to applicants with projects that involve green building techniques for energy efficiency, provide space for such programs as reducing class size, establishing preschool programs, establishing before and after school programs, engaging in community integrated construction projects, modernizing, attending to health repairs, and updating school safety/security in conjunction with the construction project. 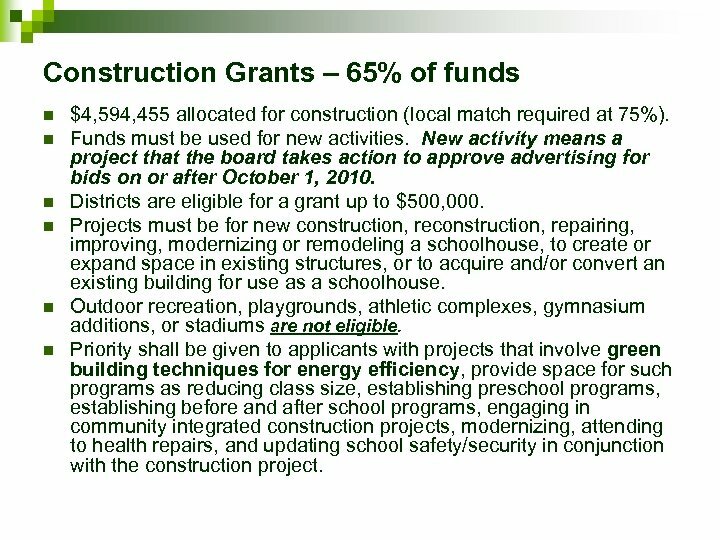 Construction Grants n Grant Categories: District Category Small Medium Large n n (continued) Enrollment 0 -1, 299 1, 300 -5, 399 5, 400+ Max. 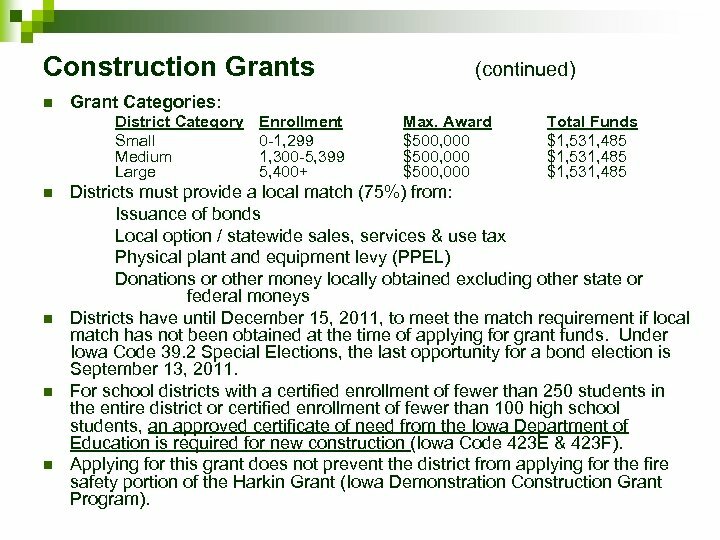 Award $500, 000 Total Funds $1, 531, 485 Districts must provide a local match (75%) from: Issuance of bonds Local option / statewide sales, services & use tax Physical plant and equipment levy (PPEL) Donations or other money locally obtained excluding other state or federal moneys Districts have until December 15, 2011, to meet the match requirement if local match has not been obtained at the time of applying for grant funds. Under Iowa Code 39. 2 Special Elections, the last opportunity for a bond election is September 13, 2011. 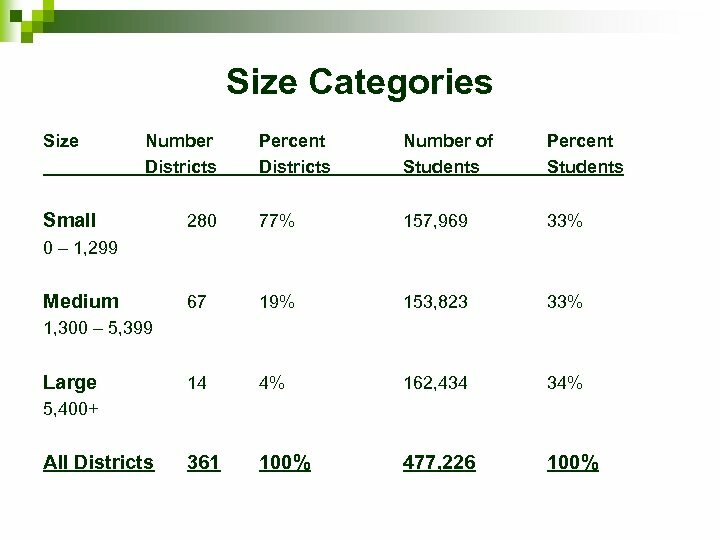 For school districts with a certified enrollment of fewer than 250 students in the entire district or certified enrollment of fewer than 100 high school students, an approved certificate of need from the Iowa Department of Education is required for new construction (Iowa Code 423 E & 423 F). 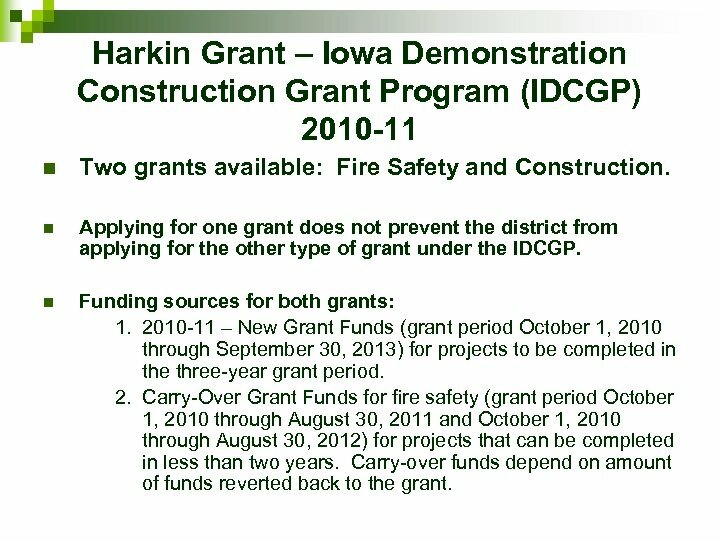 Applying for this grant does not prevent the district from applying for the fire safety portion of the Harkin Grant (Iowa Demonstration Construction Grant Program). 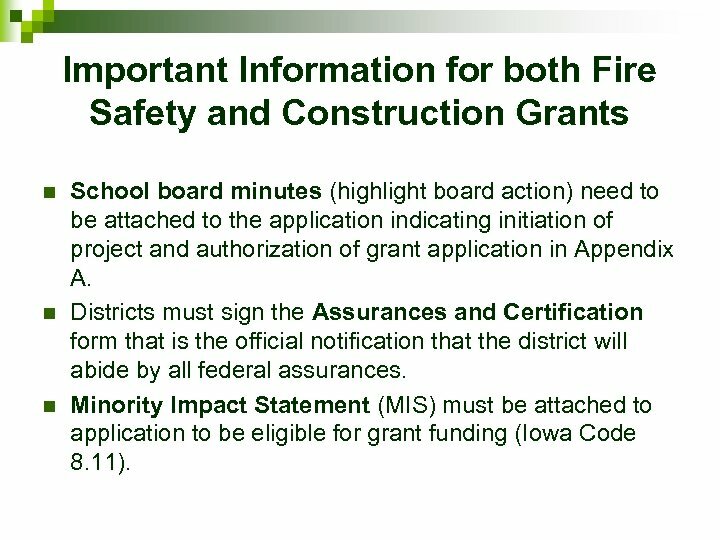 Important Information for both Fire Safety and Construction Grants n n n School board minutes (highlight board action) need to be attached to the application indicating initiation of project and authorization of grant application in Appendix A. Districts must sign the Assurances and Certification form that is the official notification that the district will abide by all federal assurances. 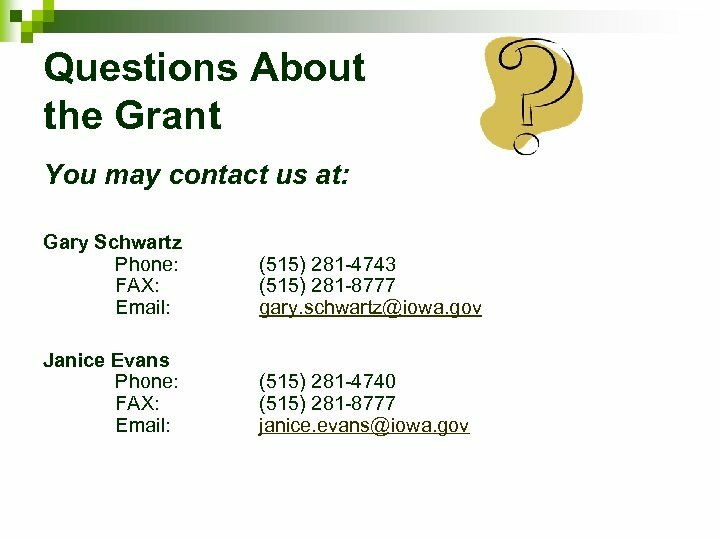 Minority Impact Statement (MIS) must be attached to application to be eligible for grant funding (Iowa Code 8. 11). 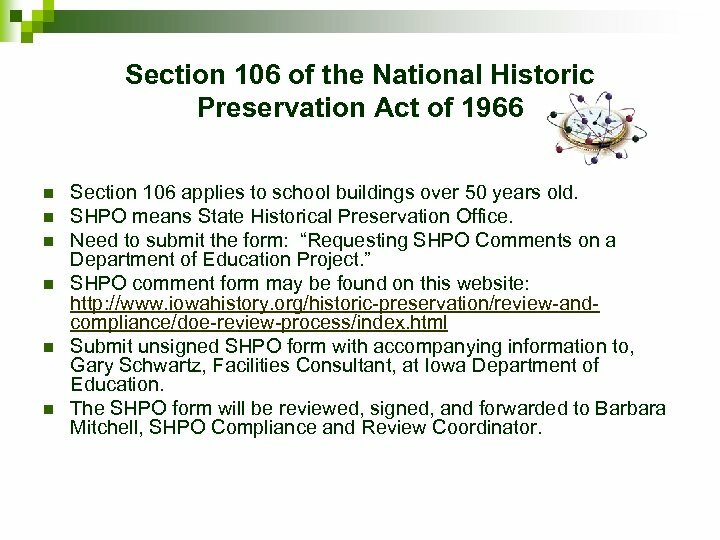 Section 106 of the National Historic Preservation Act of 1966 n n n Section 106 applies to school buildings over 50 years old. 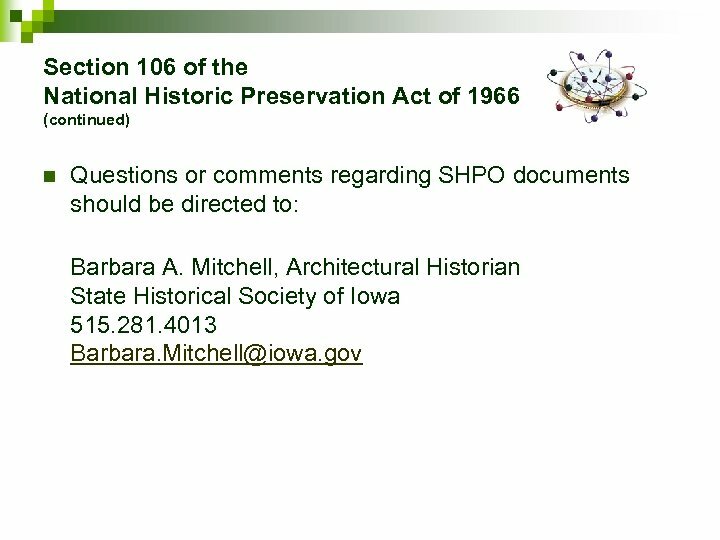 SHPO means State Historical Preservation Office. Need to submit the form: “Requesting SHPO Comments on a Department of Education Project. ” SHPO comment form may be found on this website: http: //www. iowahistory. org/historic-preservation/review-andcompliance/doe-review-process/index. 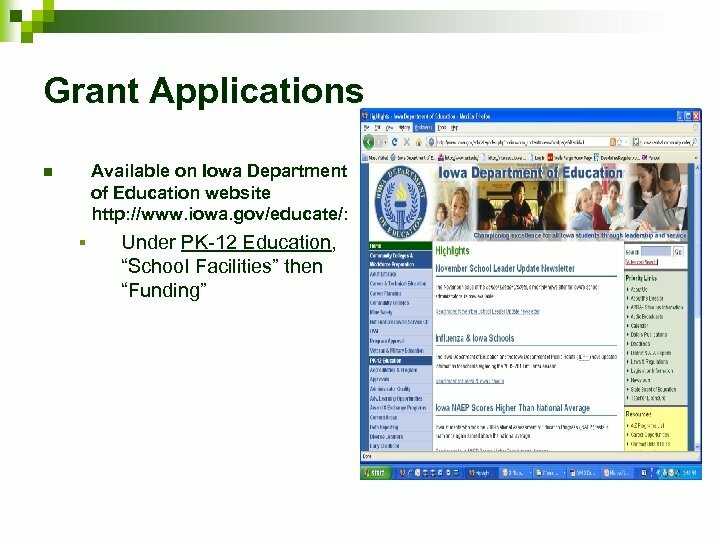 html Submit unsigned SHPO form with accompanying information to, Gary Schwartz, Facilities Consultant, at Iowa Department of Education. The SHPO form will be reviewed, signed, and forwarded to Barbara Mitchell, SHPO Compliance and Review Coordinator. Suspension and Debarment of Contractors n n Obtain certification from contractors that the contractor and/or its principal officials are not suspended or debarred as required by EO 12549 and EO 12689. Website for Excluded Parties List System (EPLS) for list of excluded parties: https: //www. epls. gov/. 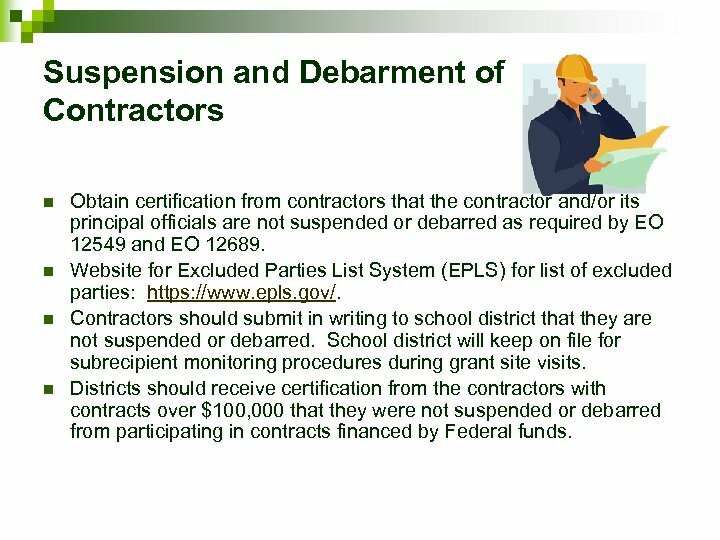 Contractors should submit in writing to school district that they are not suspended or debarred. School district will keep on file for subrecipient monitoring procedures during grant site visits. Districts should receive certification from the contractors with contracts over $100, 000 that they were not suspended or debarred from participating in contracts financed by Federal funds. 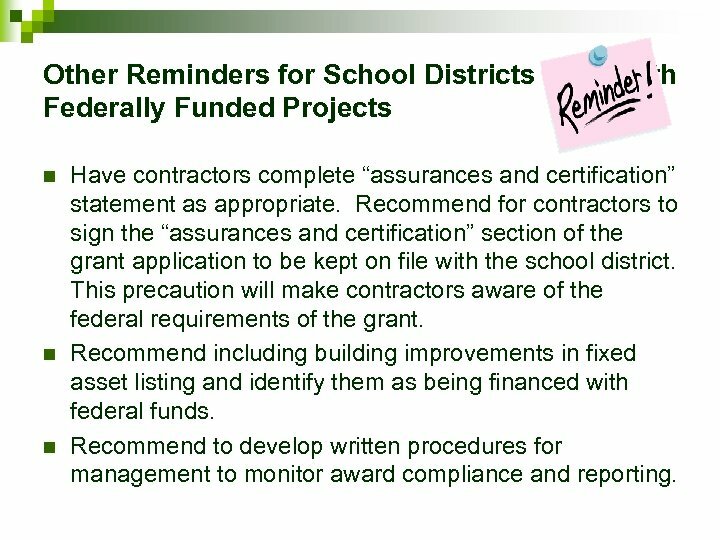 Other Reminders for School Districts Federally Funded Projects n n n with Have contractors complete “assurances and certification” statement as appropriate. Recommend for contractors to sign the “assurances and certification” section of the grant application to be kept on file with the school district. 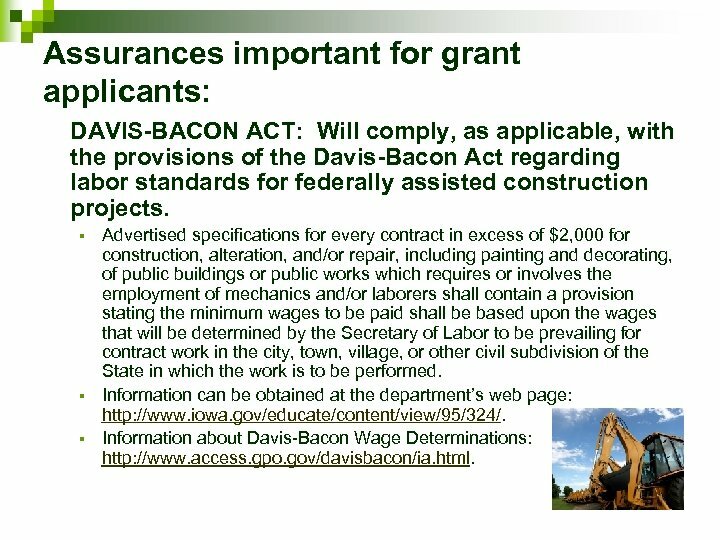 This precaution will make contractors aware of the federal requirements of the grant. Recommend including building improvements in fixed asset listing and identify them as being financed with federal funds. Recommend to develop written procedures for management to monitor award compliance and reporting. 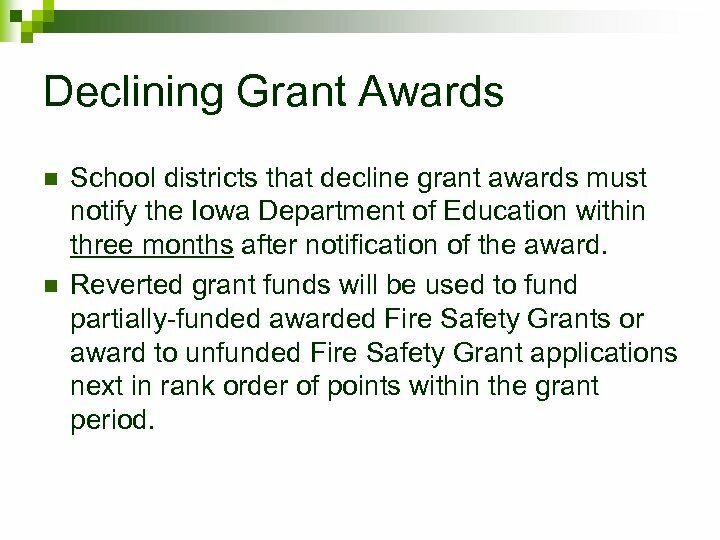 Declining Grant Awards n n School districts that decline grant awards must notify the Iowa Department of Education within three months after notification of the award. 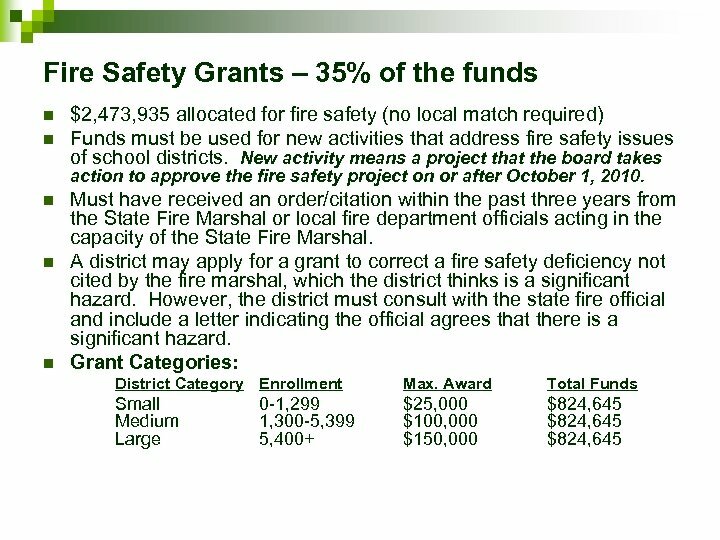 Reverted grant funds will be used to fund partially-funded awarded Fire Safety Grants or award to unfunded Fire Safety Grant applications next in rank order of points within the grant period.